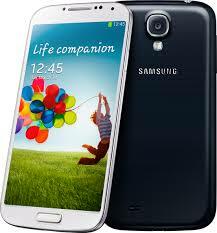 So a case has been filed in court against Safaricom for selling a defective Samsung Galaxy S4. According to Business Daily Ms Judy Wanjiku Munene bought Samsung Galaxy S4 from Safaricom Limited but then the phone started losing network coverage and overheat. The Star reported that Ms Munenne took the phone to Safaricom for repairs, Safaricom retained it for 14 days, she picked it up, the phone malfunctioned again, she took it back, the repair took another 7 days but upon picking it back again she noticed the problem persisted. Ms Munene then decided to file a law suit with claims that Safaricom has breached the warranty contract by failing to repair the phone. She seeks replacement for the handset, refund of Kshs. 64,999 she used to buy the phone and also wants compensation on losses and damages incurred. According to her, she transacts her businesses using the phone and as such the phone’s failure to function properly has caused her to incur losses. At this point I am not sure whether the problem lies with vendor, Safaricom or the OEM, Samsung in this case. I have had two phones both Samsung Galaxy SIII repaired under warranty. One phone was bought from FoneExpress and the second was bought from Safaricom. In both cases I took the phones directly to Samsung shop in Nakuru who, in the first case, replaced the motherboard and the phone was up and running. This particular phone went off but could never come back on. The second phone had complications and I had to take it back for repairs several times. It first had issues with Kernel Upload Error every few hours but after this was resolved, the mouth piece could not work. After taking the phone to Samsung over three times they decided to finally replace the motherboard and since then the phone has worked very fine. By the way from those experiences I learnt that 32GB version of Samsung’s Galaxy SIII motherboard is more stable than the the 16GB version. Both phones used to overheat and at times lose network with the default 16GB motherboard. Back to Ms Munene’s case. From my experiences, I was clearly told by Samsung that vendors do not repair phones. What vendors do when they receive complains is to send those phones to Samsung shops for repairs. So if this is the case then I expect Ms Munene to sue Samsung and not Safaricom. In October 2011, several customers launched a class action against Samsung for allowing defective Samsung Galaxy S be sold despite customers’ complains about several Galaxy S’s defect that caused the phone to freeze then power-off while it is set in standby mode. If then indeed Safaricom is aware that it is Samsung to take responsibility for repairs and, if need be, replacement offered, did they not explain that to Ms Munene? Did Samsung decline to replace the phone or even replace the motherboard if they could not resolve the network and overheating problems? The other issue that should be looked at is the extent of implementing promises made by companies that provide services to the masses. For example Safaricom could promise excellent network reception, but if an individual lives in an area with poor network, should he/she sue? Maybe. In February this year, a class action was brought against Vodafone Australia and another against Sprint for claims of poor network coverage and data connectivity respectively. In Kenya Safaricom has been given notice by the CCK to improve on their quality of service or their licence to operate will not be renewed (read: Has Safaricom fallen out with the Government?) Despite these, we know that companies do not always meet the threshold of service quality and as consumers we are always content to a large extent with the services we received. The same applies to physical goods like phones. How many of us bother to check the stand-by time and talk time promises made by phone manufacturers on the phones’ battery performance? Samsung Galaxy SIV promises battery stand-by time of 370 hours and talk time of 17 hours but I doubt if anyone would sue Samsung if the phone delivers 8 hours of talk time. In this case I would have expected Ms Judy Munene to sort her phone’s issues with Samsung. We’ll wait and see how the court case will turn out.